The Madden NFL video game franchise has been the only way millions of sports fans can play NFL stars for more than a decade. Shelling out $60 for the latest edition from EA Sports is a yearly ritual celebrated by armchair athletes and actual ones alike. 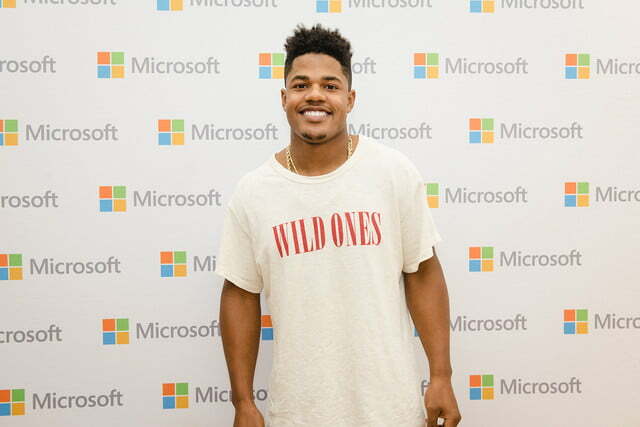 New York Giants wide receiver Sterling Shepard is one of those avid Madden fans — and after years of on-field and video game experience, he wants a few things changed about the virtual pigskin franchise. Madden has dominated the NFL gaming market by sheer monopoly, and a constant criticism of the franchise is its lack of innovation. 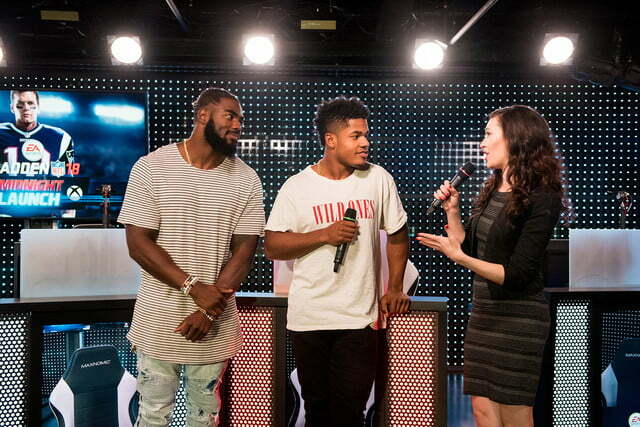 So before Shepard squared off against teammate Landon Collins at Microsoft’s flagship store in New York City the night before the game’s launch, Shepard spoke with Digital Trends about how he hopes Madden will put more control in gamer’s hands. Digital Trends loved Madden NFL 18, partly for how closely the gameplay mimics the NFL games you watch on Sundays. Player animations are more realistic than ever, and features like Target passing give more control over where the ball goes. Yet Shepard wants even more control. “I would like it if you could make the move yourself. I double tapped B to spin, and he’s not spinning when I want him to, really,” he told Digital Trends. 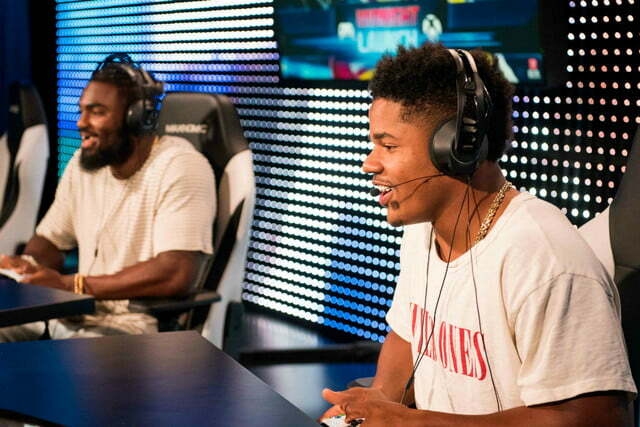 Madden needs to make sure gamers can’t automatically win by selecting certain players. Madden NFL 2004 and its cover athlete, former Atlanta Falcons sensation Michael Vick, is an example of the type of gameplay Shepard desires. Vick in Madden NFL 2004 was a cheat code in cleats, able to drop back 30 yards and still throw a 60-yard touchdown with the flick of a few buttons. This is a place where the realities of game design bump up against the realities of, well, reality. A game like Madden needs to make sure gamers can’t automatically win by selecting certain players, or stacking their team. Shepard knows he can’t change that part of the game — but he would like to change the player. One player, in particular. 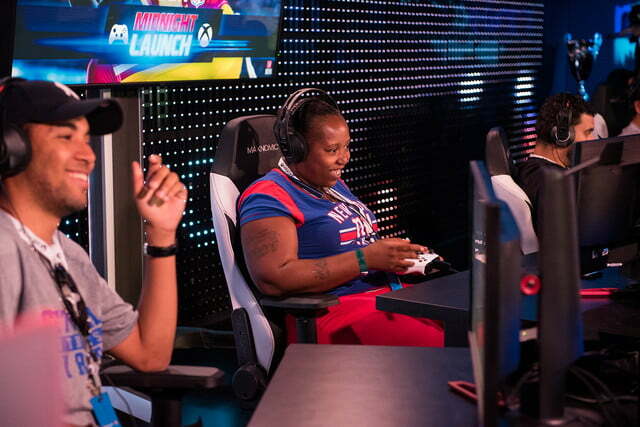 Modern athletes measure themselves in wins, championships, money, and video game ratings. Shepard says the Giants locker room is “always talking about ratings,” and at the launch of Madden NFL 18, Shepard’s overall rating was an 80, up from a 74 at the launch of Madden NFL 17. Odell Beckham Jr — superstar Giants receiver, record breaker and the youngest Madden cover athlete ever — received a cumulative rating of 93 at launch. That is good enough to place him in a nine-player 7th place tie for all players, and fourth place among wide receivers. Most players would do backflips to simply enter the 90-point range. Yet, both on the field or off, most players are not Odell Beckham Jr. “The other day Odell [Beckham Jr] was talking about his rating, and how they kind of shafted him on the overall rating,” according to Shepard. The NFL seasons starts in full on September 10 with the Giants squaring off against division rivals, Dallas Cowboys. Shepard’s on-field play will change his rating in Madden as the season progresses, so if you see him putting his body on the line for a seemingly meaningless five-yard catch, you can thank your copy of Madden NFL 18.